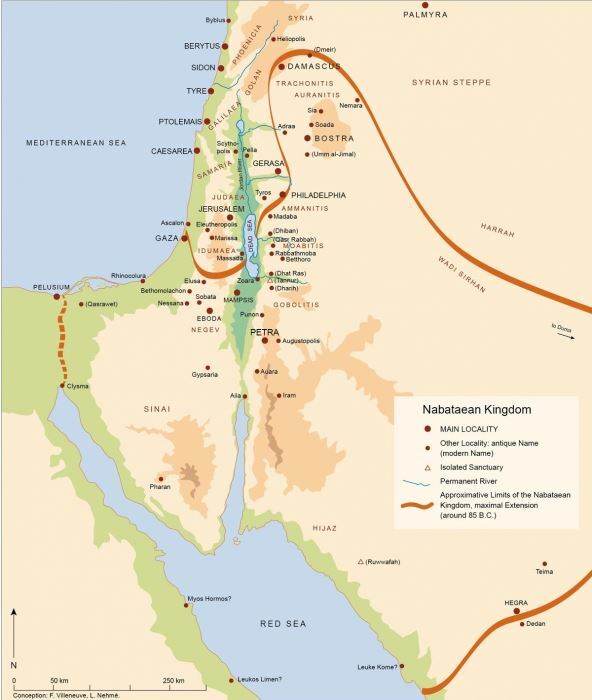 The Nabataean Kingdom was a political state of the Arab Nabataeans during classical antiquity. Nabataea remained independent from the 4th century BC until it was annexed by the Roman Empire in AD 106, which renamed it Arabia Petrea. The coinage of Nabataea began under the reign of Aretas II. The silver coinage is based on the weight of the Roman Denarius or Greek Drachma, and as the adjacent areas around Nabataea used the Greek weight system, it is presumed the coins are of this standard. The local name of the denominations are not known so the Latin denarius and Greek drachma equivalents are used interchangeably.